This was a live niconico broadcast to commemorate the new CDs for Idolmaster Cinderella Girls. The seiyuu participants were Fukuhara Ayaka, Fuchigami Mai, and Matsui Eriko. 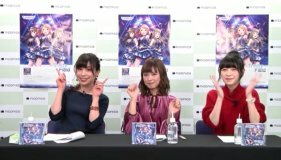 The Starlight Master 24 Trinity Field CD will go on sale 12/12. 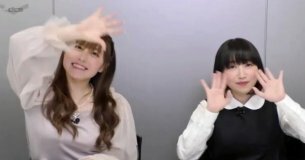 The seiyuu said that they recorded the song over one year ago. Ayaka recorded first. She had never done that before, so it was difficult to set the tone for the song. In the "Countdown Station" video, the hosts were Igarashi Hiromi and Matsuzaki Rei.